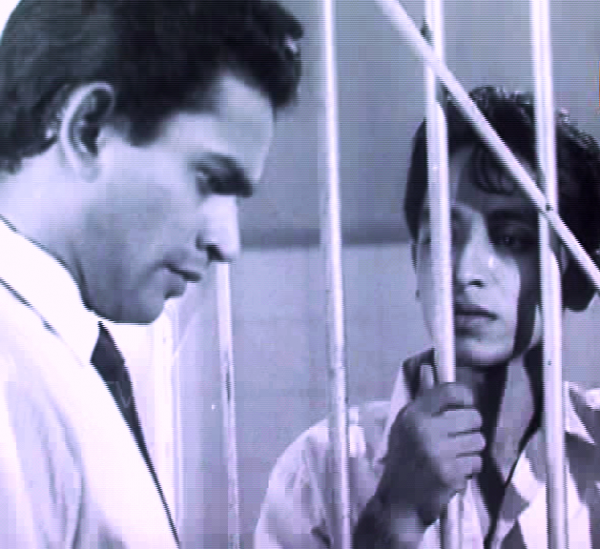 Philip Cooray called Delovak Athara the most personal film that Lester James Peries ever made, and it shows. From the milieu depicted in it to its choice of subject matter, it may well have been a “statement” in the same vein that Truffaut’s The 100 Blows or Bergman’s Wild Strawberries had been. Delovak Athara is the kind of film that would be called an independent experimental work today. It was financed by an ad hoc organisation (Cine Lanka) formed between the director, his wife, and a school friend; it was rather “low budget”, made use of the leading players of the day, and propelled a relative unknown, cast as the protagonist, to stardom; it strayed from the narrative of every movie that preceded it (becoming, as Philip Cooray noted, “a totally cerebral film”); in terms of mood it was introspective, “the most Western” of Lester’s works until then; and it was a collaborationist film that recorded a “perfect fusion between the director and the cameraman” – Lester Peries and Willie Blake turned into Jean-Luc Godard and Raoul Coutard. Moderated by Anoma Rajakaruna, the movie was given a special screening at the Goethe-Institut last Wednesday, April 3, two days before what would have been the 100th birthday of the director. After the screening the panel that discussed the film – Sumitra Peries (who edited it), Dileepa Abeysekara, Vidarshana Kannangara – shared some interesting provocative perspectives regarding not only the movie, but the man behind it as well. In light of Lester’s birth centenary, I believe these perspectives call for a radical rereading of the director and the person behind the director. This essay is an attempt at explicating, and clarifying, some of those thoughts. Can Lester’s works be rationalised in terms of the moral universe they occupy? It’s tempting to view a film like Delovak Athara and say that they do. Thematically and cinematically, there’s nothing in it that can be called political, except the decision of the protagonist to own himself up to the police and save the servant his family frames for the accident. Vidarshana Kannangara believes otherwise, however: for him Lester, even in Nidhanaya, indicts “bourgeois values” to such a degree that he becomes more than just an artistic, avant-garde director; the hint is that there’s more to Lester than the (Marxist) critic may be prepared to admit. Lester James Peries was the product of contradicting forces. In The Lonely Artist Philip Cooray notes that three factors influenced him: his career as a journalist, his involvement with the ‘43 Group, and his work at the Government Film Unit. It is certainly alluring to analyse his films on the basis of how journalistic they are, how artistic they are, and how they approximate to a documentary; the truth, however, is that the one point which drove Lester’s work more than the other three in the sixties was the fact that he was both of the time he worked in, and out of it. What the sixties unearthed – the MPAA system and the counterculture, Vietnam and May 1968, My Fair Lady and The Graduate – was a clash of morals. It was difficult for a director, even a non-Western one like Lester or Satyajit Ray, to ignore it in their movies, though the way they encountered and tackled that conflict in their work would have differed considerably. Ray made three films which remain unsurpassed in how they bring together the personal and the political against the backdrop of the Naxalite uprising in India: Pratidwandi, Seemabaddha, Jana Aranya. The closest to such a political statement that Lester made was Yuganthaya, and that seems more an affectation than an affirmation of radicalism; by the time of Vietnam and the 1971 insurrection, he was making, not a “social commentary” like Delovak Athara, but a mystical parable out of Beauty and the Beast, Desa Nisa. Given this it comes to no surprise that Lester would be criticised by the younger filmmakers for not being committed enough. Vidarshana’s point is that these young radicals, who like the Cahiers du Cinema circle began as intellectuals, writers, critics, and philosophers, in their enthusiasm to appear more political than the man they had initially revered, missed or overlooked the social content of his work. If there’s one yardstick by which we can separate the films of Lester Peries from the polemics of these “radicals” (of whom only one, Pathiraja, matured as an established director), it is this: Lester remained, until his last, a “polymorphous” artist, in Isaiah Berlin’s terminology a “fox”, as opposed to his critics who viewed the world through the lens of their ideas, and became (again in Berlin’s terminology) “hedgehogs.” They enjoyed the luxury of an ideological space from which they could attack their mentors, but what they forgot was that the creation of such a space required, at the outset, a “radical” who could prove it could be created in the first place. That director, who was born into both 1956 and 1971, was Lester. Delovak Athara has been described as continental, avant-garde, and even Marxist (it was reportedly a favourite of Philip Gunawardena, whose taste in the arts could hardly be called “bourgeois”), but I rather feel it was more Anglophile than European. It has the Godardian mood, yet at the same time it lacks the Godardian spontaneity; its pace is measured, and its plot, while not wholly intellectualised, is nevertheless (as Cooray pointed out) cerebral. We don’t feel to the film, we don’t even react to it; we merely observe. In that sense we can’t discount another influence Lester and Sumitra Peries would have imbibed: the Free Cinema Movement, some of the articulators of which the two of them had known and befriended in England. The Free Cinema movement was a cinema of anger; it was opposed not just to the conservatism of the older directors in England (the David Leans and the Carol Reeds), but also to the bohemian counterculture of the US. It was fashionably Marxist, and unlike the Nouvelle Vague where many of the directors proclaimed and fought for the disassociation of the cinema from other art forms, its articulators worked with or went for litterateurs like Allan Sillitoe, John Osborne, and Joe Orton (whose controversial play on homosexuality, Entertaining Mr Sloane, was adapted as Thoththa Baba by Premaranjith Tilakaratne). Many of the films they made were cold and distanced the audience; Cooray described Delovak Athara in nearly the same terms. Once we forget the “continentalism” of Delovak Athara, once we stop attaching one label or the other to it, a different picture of the man who made it emerges. 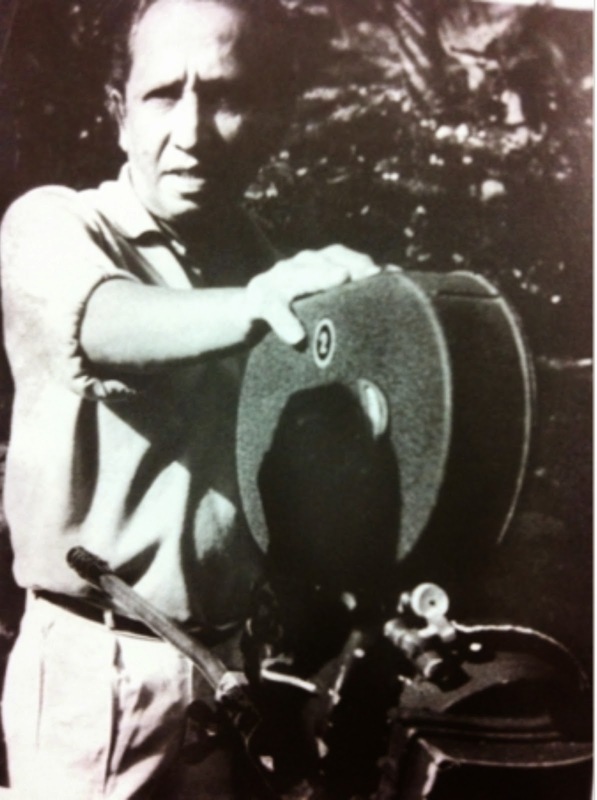 Lester was not averse to incorporating other art forms in his work – most of his movies contain a tripartite structure as with a play, build up to a crescendo as with a symphony, and are rooted in the scripts they are based on as with a work of literature – and he was not so dogmatic as to privilege one mode of filmmaking over the other. Delovak Athara is certainly Lester’s work, and yet it bears the stamp of his other collaborators: Sumitra’s editing, Regi Siriwardena’s writing, Tissa Abeysekara’s dialogues, and Willie Blake’s camerawork. He was, put simply, not an ideologue, which means that there is no real evidence to suggest that he was averse to radicalism. Not that that was true of everyone else. 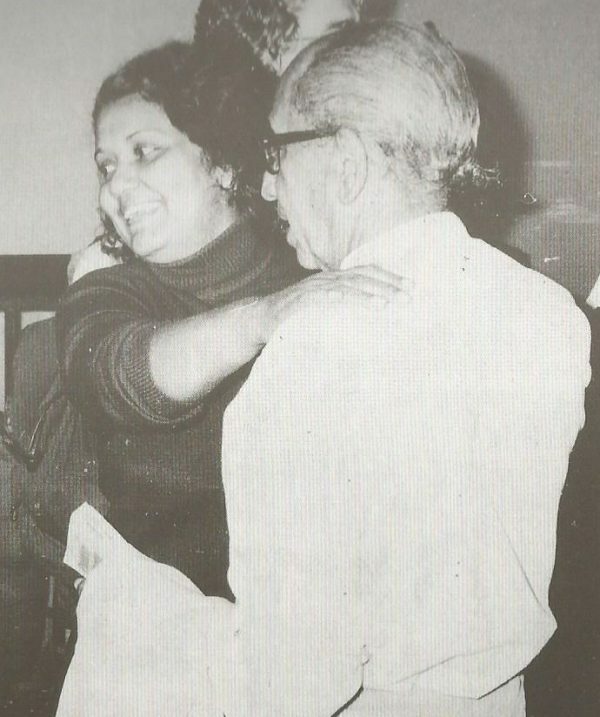 At the time of the 1971 insurrection even a pioneer writer like Martin Wickramasinghe could condemn JVP leaders for being “even prepared to kill their parents in order to achieve the aims of their clique.” Such judgments, or misjudgements, are sadly inevitable; age brings with it to the artist a conservative streak that is often at odds with the progressivism of his work (after all it was around the time of making that judgment that Wickramasinghe wrote his last novel, Bhavatharanaya, which can hardly be called “reactionary”). « Civil Damages Case Filed Against Gotabaya Rajapaksa in US On Behalf of Sri Lankan Tamil Detained by TID From Sep 2007 to Aug 2010: Notice Served on Ex-Def -Secy at a Trader Joe’s Parking Lot in Pasadena on Sunday Night.